The book of Sirach was originally written in Hebrew by Yeshua ben Sira at the beginning of the second century B.C.E. and was translated into Greek by the author’s grandson before 116 B.C. The book was likely completed before the reign Antiochus IV Epiphanies (175-164 B.C.E.) since there is no reference to the events of that period in the book although he does include a hymn extolling the virtue of the high priest Simon, son of Onias, who was high priest from 219 to 196 B.C. (Follow this link to a list Sirach allusions in the Talmud). One objective of Sirach is to present the traditional faith of Israel as superior to the Hellenistic world. It is not surprising to find some influence from Greek and Egyptian wisdom literature, although there is no direct citation of a Hellenistic philosopher in the book. David deSilva lists Iliad 6.146-149 as parallel to Sirach 14:18 and Aristotle, NicEth 9.4.1166 as parallel to Sirach 6:11. Neither of these proves Ben Sira knew either of these works since the sayings may have passed into common wisdom usage by the second century B.C. (Introduction to the Apocrypha, 165). Sirach 11:28 (“Call no one happy before his death; by how he ends, a person becomes known” is similar to the major theme of Sophocles, Oedipus the King., but once again, this may be “common knowledge” by the time Sirach writes. A few older scholars who have denied any Hellenistic influence. For example, Smend said: “He hates with all his heart Hellenism and the Greeks, as well as the small pagan neighboring nations, and yearns for the day of God’s reckoning with them….in fact, no Greek influence is discernable in his work.” This statement seems based on 50:25, in which Ben Sira expresses his hatred of Samaritans, Philistines and those who live in Shechem, all classic enemies of Israel. Even if the Hellenistic parallels are not present, Ben Sira does not seem as hostile as Smend implies. Sirach rarely (if ever) comments on the spiritual state of the nations. Of the twenty-five times ἔθνος is used in Ben Sira, only once does it appear in the context of judgment. Carl Selmer suggested Sirach knew The Sayings of the Seven Sages by Demetrius Phalerus (d. 280 B.C.) This Greek work contains a series of short pieces of advice, many of which closely parallel Ben Sira. But the Sayings of the Seven Sages is preserved in a Latin proverb collection dated to the late Middle Ages. Selmer thought many earlier works went so far as to suggest that Ben Sira was simply gathering a collection of popular proverbs in the tradition of the canonical book of Proverbs. In order to show parallels Selmer gives the Latin form of the proverb in the Seven Sages and then potential parallels in the Latin form of Sirach. This method is problematic because the form of the Greek proverbs is preserved in a late Latin manuscript, the form of Sirach Selmer uses is Latin as opposed to Greek or Hebrew (which were not available to Selmer in 1943). 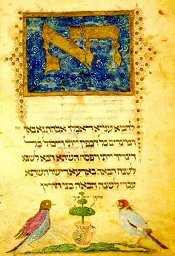 Therefore, while it is impossible to trace with confidence any use of the Seven Sages by Ben Sira, it is remarkable that the content of all fourteen of the sayings appear someplace in the much larger book of Sirach. This may only speak of the currency of these themes in the wisdom literature of the third and early second century B.C. While there is little evidence to suggest he borrowed freely from Greek or Egyptian writers, there are enough allusions to indicate Ben Sira knew some proverbial ethical Hellenistic philosophy. Why did he use so little of it to argue Torah is superior to Hellenistic philosophy? What was his motivation in alluding to Greek wisdom at all? Or we might ask, who was Ben Sira writing to, young Jewish readers tempted by Hellenism, or Hellenistic readers he hoped to convert? To put it in contemporary terms, is Sirach apologetics or missionary literature? Bibliography: Carl Selmer, “Traces of The ‘Sayings of the Seven Sages; In the Liber Ecclesiasticus.” CBQ 5, no. 3 (1943): 264-74l Carl Selmer, “Traces of The ‘Sayings of the Seven Sages; In the Liber Ecclesiasticus.” CBQ 5, no. 3 (1943): 264-74; Smend cited by Edmond Jacob, “Wisdom and Religion in Sirach,” pages 247-60 in Israelite Wisdom: Theological and Literary Essays in Honor of Samuel Terrien. Edited by John G. Gammie (Missoula, Mont: Scholars Press, 1978): 248. High priest Simon, son of Onias was appointed captain of the temple because Antiochus III was persuaded by the Tobiads because they knew that he would do what he wanted. Simon did not like the high priest and he spread rumors that the high priest was hiding money from the government. Simon also plotted Onias’ assassination. In return, Onias wanted to try and remove Simon from his post. Anthony Tomasino states in his book, Judaism Before Jesus, “…before Onias could bring forward his petition, Seleucus IV was assassinated by the very Heliodorus whom he had sent to plunder the temple” (128). In terms of philosophy, I will give Hellenism this: it pushed out some credible philosophers. I am extremely fond of Plato and Socrates in terms of their thought even if there are things they proposed that I do not agree with – therefore theologically? It’s not hard to say the Torah is superior to Hellenistic philosophy. It just depends on how much of a skeptic you are and what you’re willing to make peace with. I would argue that Sira was trying to out Jewish readers tempted by Hellenism because while it goes against Jewish principles, some philosophers seem very sound even from a theological standpoint. Not so, in this case, darn you Hellenism. Therefore from this act of addressing Hellenistic Philosophy’s flaws, I might argue that it’s an act of apologetics as the believed targeted audience already had a system of belief, he was just trying to reaffirm it.